How hazardous are the thousands and millions of asteroids that surround the third rock from the Sun – Earth? Since an asteroid impact represents a real risk to life and property, this is a question that has been begging for answers for decades. But now, scientists at NASA’s Jet Propulsion Laboratory have received data from a variety of US Department of Defense assets and plotted a startling set of data spanning 20 years. This latest compilation of data underscores how frequent some of these larger fireballs are, with the largest being the Chelyabinsk event on February 15, 2013 which injured thousands in Russia. The new data will improve our understanding of the frequency and presence of small and large asteroids that are hazards to populated areas anywhere on Earth. The data from “government sensors” – meaning “early warning” satellites to monitor missile launches (from potential enemies) as well as infrasound ground monitors – shows the distribution of bolide (fireball) events. The data first shows how uniformly distributed the events are around the world. This data is now released to the public and researchers for more detailed analysis. The newest data released by the US government shows both how frequent bolides are and also how effectively the Earth’s atmosphere protects the surface. A subset of this data had been analyzed and reported by Dr. Peter Brown from the University of Western Ontario, Canada and his team in 2013 but included only 58 events. This new data set holds 556 events. The newly released data also shows how the Earth’s atmosphere is a superior barrier that prevents small asteroids’ penetration and impact onto the Earth’s surface. Even the 20 meter (65 ft) Chelyabinsk asteroid exploded mid-air, dissipating the power of a nuclear blast 29.7 km (18.4 miles, 97,400 feet) above the surface. Otherwise, this asteroid could have obliterated much of a modern city; Chelyabinsk was also saved due to sheer luck – the asteroid entered at a shallow angle leading to its demise; more steeply, and it would have exploded much closer to the surface. While many do explode in the upper atmosphere, a broad strewn field of small fragments often occurs. In historical times, towns and villages have reported being pelted by such sprays of stones from the sky. NASA and JPL emphasized that investment in early detection of asteroids has increased 10 fold in the last 5 years. Researchers such as Dr. Jenniskens at the SETI Institute has developed a network of all-sky cameras that have determined the orbits of over 175,000 meteors that burned up in the atmosphere. And the B612 Foundation has been the strongest advocate of discovering of all hazardous asteroids. B612, led by former astronauts Ed Lu and Rusty Schweikert has designed a space telescope called Sentinel which would find hazardous asteroids and help safeguard Earth for centuries into the future. Speed is everything. While Chelyabinsk had just 1/10th the mass of Nimitz-class super carrier, it traveled 1000 times faster. Its kinetic energy on account of its speed was 20 to 30 times that released by the nuclear weapons used to end the war against Japan – about 320 to 480 kilotons of TNT. Briefly, asteroids are considered to be any space rock larger than 1 meter and those smaller are called meteoroids. Two earlier surveys can be compared to this new data. One by Eugene Shoemaker in the 1960s and another by Dr. Brown. The initial work by Shoemaker using lunar crater counts and the more recent work of Dr. Brown’s group, utilizing sensors of the Department of Defense, determined estimates of the frequency of asteroid impacts (bolide) rates versus the size of the small bodies. Those two surveys differ by a factor of ten, that is, where Shoemaker’s shows frequencies on the order of 10s or 100s years, Brown’s is on the order of 100s and 1000s of years. The most recent data, which has adjusted Brown’s earlier work is now raising the frequency of hazardous events to that of the work of Shoemaker. The work of Dr. Brown and co-investigators led to the following graph showing the frequency of collisions with the Earth of asteroids of various sizes. This plot from a Letter to Nature by P. Brown et al. used 58 bolides from data accumulated from 1994 to 2014 from government sensors. Brown and others will improve their analysis with this more detailed dataset. The plot shows that a Chelyabinsk type event can be expected approximately every 30 years though the uncertainty is high. The new data may reduce this uncertainty. Tungunska events which could destroy a metropolitan area the size of Washington DC occur less frequently – about once a century. Asteroids come in all sizes. Smaller asteroids are much more common, larger ones less so. A common distribution seen in nature is represented by a bell curve or “normal” distribution. Fortunately the bigger asteroids number in the hundreds while the small “city busters” count in the 100s of thousands, if not millions. And fortunately, the Earth is small in proportion to the volume of space even just the space occupied by our Solar System. Additionally, 69% of the Earth’s surface is covered by Oceans. Humans huddle on only about 10% of the surface area of the Earth. This reduces the chances of any asteroid impact effecting a populated area by a factor of ten. Altogether the risk from asteroids is very real as the Chelyabinsk event underscored. Since the time of Tugunska impact in Siberia in 1908, the human population has quadrupled. The number of cities of over 1 million has increased from 12 to 400. Realizing how many and how frequent these asteroid impacts occur plus the growth of the human population in the last one hundred years raises the urgency for a near-Earth asteroid discovery telescope such as B612’s Sentinel which could find all hazardous objects in less than 10 years whereas ground-based observations will take 100 years or more. Full Caption of the included plot from LETTERS TO NATURE, The Chelyabinsk airburst : Implications for the Impact Hazard, P.G. Brown, et al. The estimated cumulative flux of impactors at the Earth. The bolide impactor flux at Earth (Bolide flux 1994-2013 – black circles) based on ~20 years of global observations from US Government sensors and infrasound airwave data. Global coverage averages 80% among a total of 58 observed bolides with E > 1 kt and includes the Chelyabinsk Chelyabinsk bolide (far right black circle). This coverage correction is approximate and the bolide flux curve is likely a lower limit. The brown-coloured line represents an earlier powerlaw fit from a smaller dataset for bolides between 1 – 8 m in diameter15. Error bars represent counting statistics only. For comparison, we plot de-biased estimates of the near-Earth asteroid impact frequency based on all asteroid survey telescopic search data through mid- 2012 (green squares)8 and other earlier independently analysed telescopic datasets including NEAT discoveries (pink squares) and finally from the Spacewatch (blue squares) survey, where diameters are determined assuming an albedo of 0.1. Energy for telescopic data is computed assuming a mean bulk density of 3000 kgm-3 and average impact velocity of 20.3 kms-1. The intrinsic impact frequency for these telescopic data was found using an average probability of impact for NEAs as 2×10-9 per year for the entire population. Lunar crater counts converted to equivalent impactor flux and assuming a geometric albedo of 0.25 (grey solid line) are shown for comparison9, though we note that contamination by secondary craters and modern estimates of the NEA population which suggest lower albedos will tend to shift this curve to the right and down. Finally, we show estimated influx from global airwave measurements conducted from 1960-1974 which detected larger (5-20m) bolide impactors (upward red triangles) using an improved method for energy estimation compared to earlier interpretations of these same data. When we think of recent large asteroid impacts on Earth, only a handful may come to mind. In particular, one is the forest-flattening 1908 Tunguska explosion over Siberia (which may have been the result of a comet) and another is the February 2013 meteor that exploded over Chelyabinsk, shattering windows with its air blast. Both occurred in Russia, the largest country on Earth, and had human witnesses — in the case of the latter many witnesses thanks to today’s ubiquitous dashboard cameras. While it’s true that those two observed events took place 105 years apart, there have been many, many more large-scale asteroid impacts around the world that people have not witnessed, if only due to their remote locations… impact events that, if they or ones like them ever occurred above a city or populated area, could result in destruction of property, injuries to people, or worse. A new video released by the B612 Foundation shows a visualization of data collected by a global nuclear weapons test network. It reveals 26 explosive events recorded from 2000 to 2013 that were not the result of nuclear detonations — these were impacts by asteroids, ranging from one to 600 kilotons in energy output. To include the traditonally macabre comparison, the bomb used to destroy Hiroshima at the end of World War II was about 15 kilotons; the Nagasaki bomb was 20. This evening former NASA astronauts Ed Lu, Tom Jones, and Apollo 8 astronaut Bill Anders will present this video to the public at a live Q&A event at the Museum of Flight in Seattle, Washington. CEO and co-founder of the B612 Foundation, Ed Lu is working to increase awareness of asteroids and near-Earth objects with the ultimate goal of building and launching Sentinel, an infrared observatory that will search for and identify as-yet unknown objects with orbits that intersect Earth’s. The event, titled “Saving the Earth by Keeping Big Asteroids Away,” will be held at 6 p.m. PDT. It is free to the public and the visualization above is now available online on the B612 Foundation website. A press event will also be taking place at 11:30 a.m. PDT, and will be streamed live here. Currently there is no comprehensive dynamic map of our inner solar system showing the positions and trajectories of these asteroids that might threaten Earth. The citizens of Earth are essentially flying around the Solar System with eyes closed. Asteroids have struck Earth before, and they will again – unless we do something about it. Want to support the Sentinel mission? Donate online here. Also, if you have questions on the asteroid visualization, there are some FAQs on the B612 site here. In 1908 a blazing white line cut across the sky before exploding a few miles above the ground with a force one thousand times stronger than the nuclear blast that leveled Hiroshima, Japan. The resulting shock wave felled trees across more than 800 square miles in the remote forests of Tunguska, Siberia. For over 100 years, the exact origins of the Tunguska event have remained a mystery. Without any fragments or impact craters to study, astronomers have been left in the dark. That’s not to say that all kinds of extraordinary causes haven’t been invoked to explain the event. Various people have thought of everything from Earth colliding with a small black hole to the crash of a UFO. Russian researchers claim they may finally have evidence that will dislodge all conspiracy theories, but that “may” is huge. A team of four believes they have recovered fragments of the object — the so-called Tunguska meteorite — and even think they are Martian in origin. The research, however, is being called into question. In a detective-like manner, the team surveyed 100 years’ worth of research. The researchers read eyewitness reports and analyzed aerial photos of the location. They performed a systematic survey of the central region in the felled forest and analyzed exotic rocks and penetration funnels. A schematic of the central region in the felled forest due to the Tunguska event. Image Credit: Anfinogenov et al. Previously, numerous expeditions failed to recover any fragments that could be attributed conclusively to the long-sought Tunguska meteorite. But then Andrei Zlobin, of the Russian Academy of Sciences’ Vernadsky State Geological Museum, discovered three stones with possible traces of melting. He published the results in April 2013. Zlobin’s discovery paper was received with skepticism and Universe Today covered the news immediately. A curious question arose quickly: why did it take so long for Zlobin to analyze his samples? The expedition took place in 1988, but it took 20 years before the three Tunguska candidates were nominated and another five years before Zlobin finished the paper. By Zlobin’s admission, his discovery paper was only a preliminary study. He claimed he didn’t carry out a detailed chemical analysis of the rocks, which is necessary in order to reveal their true nature. Most field experts quickly dismissed the paper, feeling there was more work to be done before Zlobin could truly know if these rocks were fragments from the Tunguska meteor. Today, new research is moving forward with an analysis of the rocks originally discovered by Zlobin. But an interesting new addition to the collection is a rock called “John’s Stone” — a large boulder discovered in July, 1972. While it’s mostly a dark gray now it was much lighter at the time of its discovery. “John’s Stone has an almond-like shape with one broken side,” lead author Dr. Yana Anfinogenov told Universe Today. Now the skeptical reader might be asking the same question as before: why is there such a large time-lapse between the discovery of John’s Stone and the analysis presented here? (It’s interesting to note that while this elusive rock has been reviewed in the literature for over 40 years, this is the first time it has appeared in an English paper). Anfinogenov claimed that new data (especially concerning Martian geology) allowed for a much better analysis today than it did in recent years. Photos (1972) of John’s Stone and related findings. Image Credit: Anfinovenov et al. “The ground near John’s Stone presents undeniable impact signs suggesting that the boulder hit the ground with a catastrophic speed,” Anfinogenov told Universe Today. 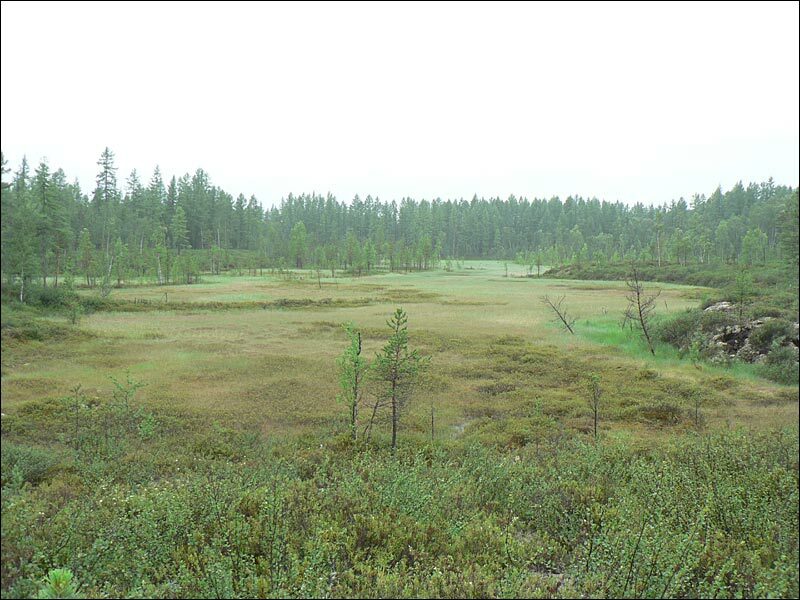 It left a deep trace in the permafrost which allowed researchers to note its trajectory and landing velocity coincides with that of the incoming Tunguska meteorite. John’s Stone also contains shear-fractured splinter fragments with glossy coatings, indicating the strong effect of heat generated when it entered our atmosphere. The research team attempted to reproduce those glossy coatings found on the splinters by heating another fragment of John’s Stone to 500 degrees Celsius. The experiment was not successful as the fragment disintegrated in high heat. “The authors do not present a strong case that the boulder known as John’s Stone was involved in the Tunguska event, or that it originated from Mars,” said Dr. Phil Bland, a meteorite expert at Curtin University in Perth, Australia. They claim the mineral structure and chemical composition of the rocks — a quartz-sandstone with grain sizes of 0.5 to 1.5 cm and rich in silica — match rocks found on Mars. But their paper lacks any microanalysis of the samples, or isotopic study. While there is a strong case that an impact on Mars could easily eject rock fragments that would then hit the Earth, something doesn’t match up. “The physics of ejecting material from Mars into interplanetary space argues for fragments with diameters of one to two meters, not the 20 to 30 meter range that would be required for Tunguska,” Bland told Universe Today. It seems as though planetary geologists will require a much stronger case than this to be truly convinced John’s Stone is the Tunguska meteorite, let alone from Mars. The paper is currently under peer-review but is available for download here. The Earth will get another close shave Monday, when the 152 metre asteroid 2003 DZ15 makes a pass by our fair planet on the night of July 29th/30th at 3.5 million kilometres distant. This is over 9 times the Earth-Moon distance and poses no threat to our world. This is much smaller than 2.75 kilometre 1998 QE2, which sailed by (bad pun intended) our fair world at 5.8 million kilometres distant on May 31st, 2013. The Virtual Telescope Project will be presenting a free online event to monitor the passage of NEA 2003 DZ15 starting Monday night July 29th at 22:00 UT/6:00 PM EDT. As of this writing, no efforts are currently known of by professional observatories to monitor its passage via radar, though Arecibo may attempt to ping 2003 DZ15 on Thursday. An Apollo asteroid, 2003 DZ15 was confirmed by the Lowell Observatory and NEAT’s Mount Palomar telescope upon discovery in February 2003. This is its closest approach to the Earth for this century, although it will make a pass nearly as close to the Earth in 2057 on February 12th. With a perihelion (closest approach to the Sun of) 0.63 A.U.s, 2003 DZ15 can also make close passes by the planet Venus as well, which it last did in 1988 and will do again on 2056. Closest approach of 2003 DZ15 is set for 00:37 UT July 30th, or 8:37 PM EDT the evening of Monday, July 29th. Although it will only reach about +14th magnitude (based on an absolute magnitude of +22.2), and hence be out of range to all but the very largest Earthbound backyard telescopes, it’ll be fun to watch as it slowly drifts across the starry background live on the internet. Our own, “is worth tracking down from our own backyard” limit is an asteroid passing closer than our Moon, or is farther, but is brighter than +10th magnitude… such are the limitations of humid Florida skies! Of course, an asteroid the size of 2003 DZ15 would spell a bad day for the Earth, were it headed our way. At an estimated 152 metres in size, 2003 DZ is over seven times the size of the Chelyabinsk meteor that exploded over Russia the day after Valentine ’s on February 15th of this year. While not in the class of an Extinction Level event, 2003 DZ15 would be in 60 to 190 metre size of range of the Tunguska impactor that struck Siberia in 1908. All enough for us to take notice as 2003 DZ15 whizzes by, at a safe distance this time. NASA plans to launch a crewed mission sometime over the next decade to study an asteroid, and perhaps retrieve a small NEA and place it in orbit about Earth’s Moon. Such efforts may go a long way in understanding and dealing with such potentially hazardous space rocks, when and if the “big one” is discovered heading our way. We’re the Earth’s first line of defense- and unlike the ill-fated dinosaurs, WE’VE got a space program and can do something about it! Last week, Russian researcher Andrei Zlobin announced that stony fragments collected from a riverbed in 1988 are “probably Tunguska meteorites,” and are likely the remains of whatever cosmic object — thought to be either a comet or an asteroid — entered Earth’s atmosphere over the boggy region of Siberia on June 30, 1908, detonating with an estimated force of 5 megatons and leveling over 800 square miles of forest. So far, definitive pieces of the original object have yet to be found despite numerous expeditions to the remote impact site. 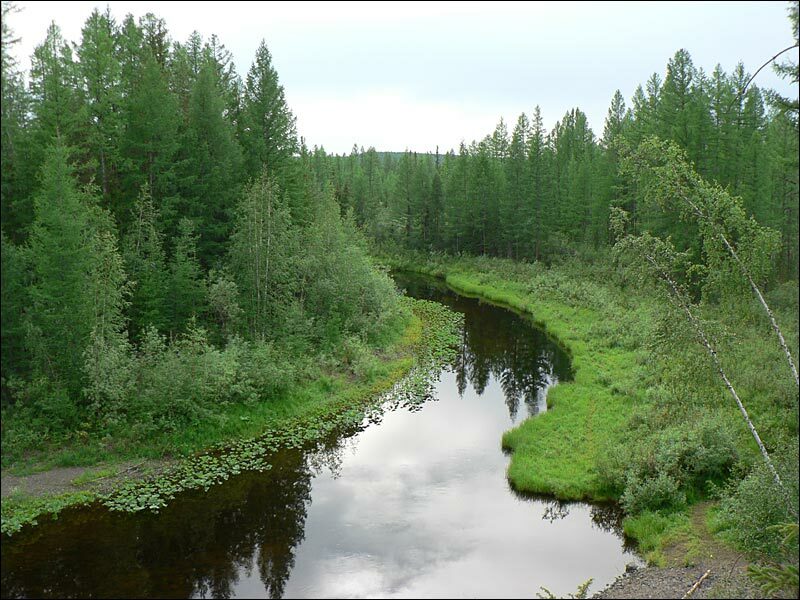 In a paper submitted on April 29, Zlobin cites the melted appearance of several stones found at the bottom of the Khushmo River as a good argument to “confirm the discovery” of Tunguska meteorite fragments. An estimated 100 tons of space debris enters Earth’s atmosphere on a daily basis. Although Zlobin admits in his submitted paper that “strict confirmation of discovered melted stones as Tunguska meteorites is possible only after attentive chemical analysis of substance,” it seems that he is making rather bold claims based on appearance alone — especially considering the enigmatic and iconic nature of this particular impact event. Read more: Tunguska Mystery Solved? 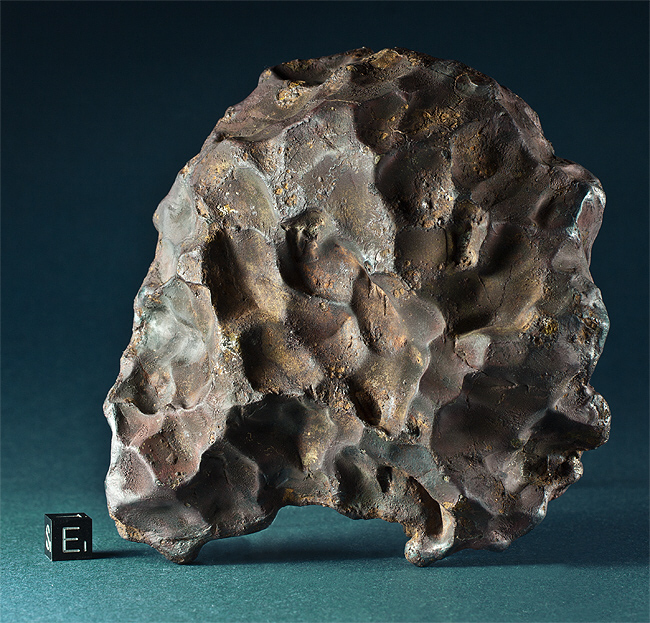 And, according to Artemyeva, even if the stones are found to be actual meteorites, connecting them to the 1908 event will still be a challenge. Zlobin’s samples, which were in storage until 2008, are still awaiting full chemical analysis. Read more on RIA Novosti here and on the MIT Technology Review here. On June 30th, 1908 “something” exploded over the Tunguska region of Siberia, flattening thousands of square kilometres of forest, and unleashing a force that rivaled the most powerful nuclear weapon ever detonated. What was it? What could unleash that kind of destructive energy? And will it happen again? “Tunguska Event” shownotes on the Astronomy Cast website. Night-shining “noctilucent” clouds create a magical glow in the night skies over Reykjavíc, Iceland in this beautiful photo by Örvar Atli Þorgeirsson, taken on August 6. In the foreground is “The Sun Voyager” (Sólfar), an iconic steel sculpture located on the city waterfront representing a Viking ship. Örvar did not set out to photograph this rare atmospheric phenomenon but had instead intended to shoot aurora triggered by recent solar outbursts. Noctilucent clouds are extremely high-level clouds made located in the mesosphere, around 76 to 85 kilometers (47 to 53 miles) high… nearly at the very edge of space. (Most commercial airplanes fly between 6 and 7 miles high.) They are high enough to reflect sunlight coming from beyond the horizon long after night has fallen over the land below. They usually appear as a wispy web of blue, white, purple and orange tendrils stretched across the sky. Oddly enough noctilucent clouds are a relatively recent phenomenon, only having been recorded for about 120 years. They have been connected with space shuttle passages through the upper atmosphere, and it’s even been suggested that they may be associated with the 1908 Tunguska impact. Read more about noctilucent clouds here. Image © Örvar Atli Þorgeirsson. All rights reserved. Used with permission. Jason Major is a graphic designer, photo enthusiast and space blogger. Visit his website Lights in the Dark and follow him on Twitter @JPMajor or on Facebook for the most up-to-date astronomy news and images!